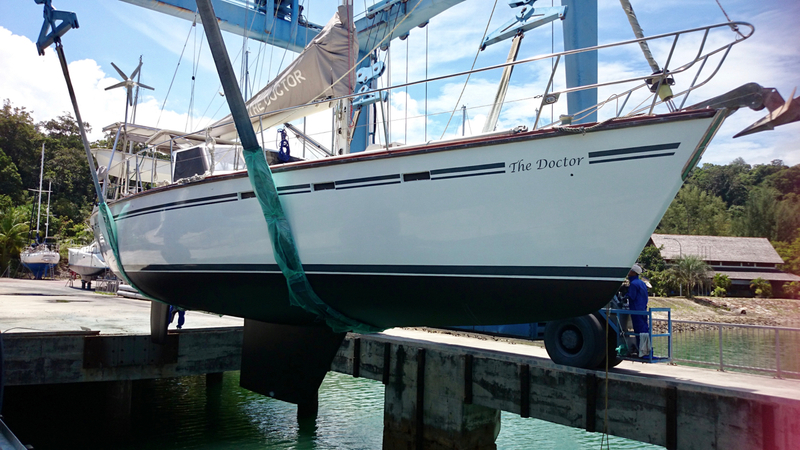 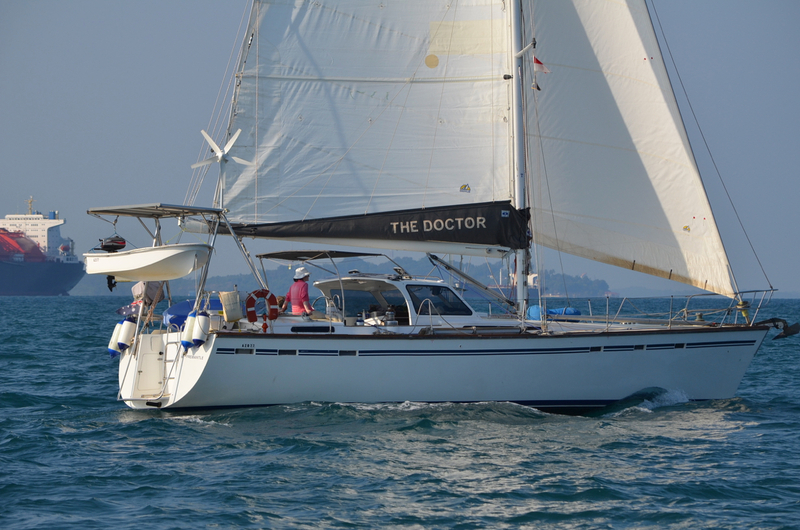 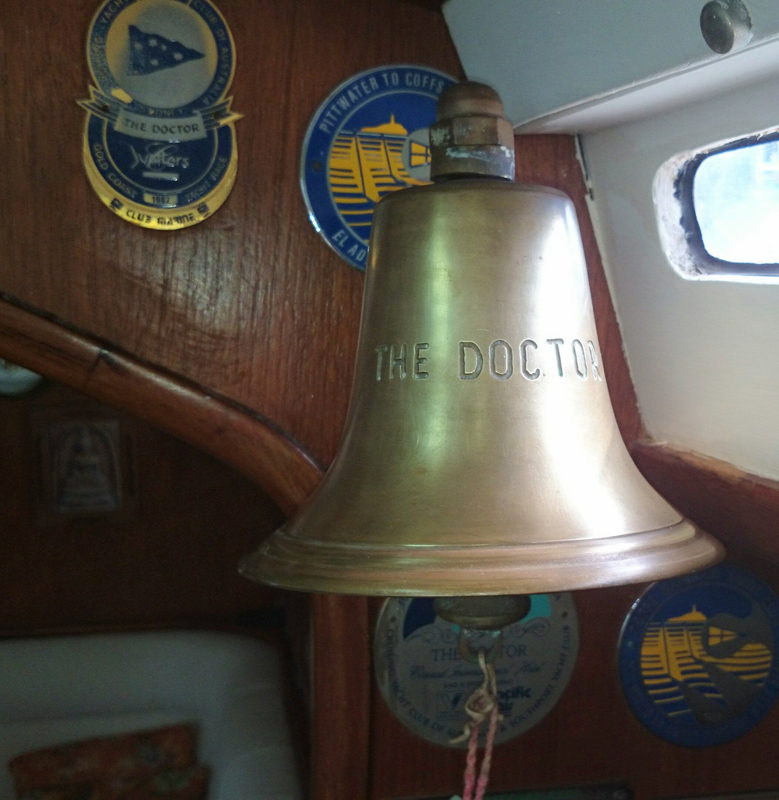 Nautilus Yacht Management is very proud to present 'The Doctor'! 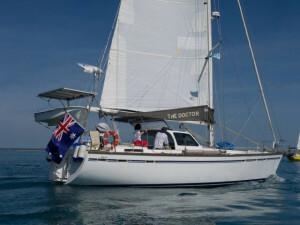 Designed and built by the renowned Phil Atkinson this remarkable yacht combines all the features of of very modern cruising vessel, such as speed, responsiveness, comfort, large safe cockpit, easily access scooped transom and top of the range cruising electronics. 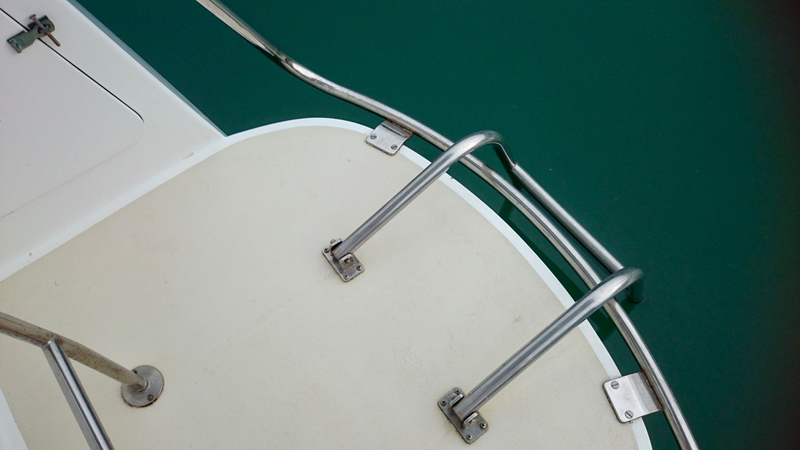 Yet a closer look will reveal a more classic approach to boat building, where strength, seaworthiness and second-to-none craftsmanship are revealed in every detail. 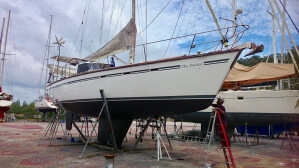 Far stronger than any production yacht, which core is either foam or the very soft balsa wood, which relies on complete dryness for its strength, this yacht is in fact a GRP boat on the outside, but with the incredibly strong build provided by what has been recognised for hundreds of years by shipbuilders are the king of all timbers for its solidity and high resistance to water degradation: Kauri. 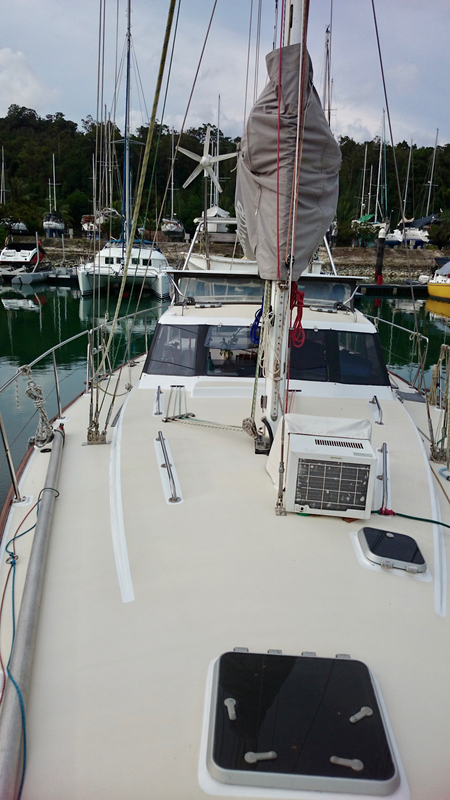 First built as a timber vessel of stripped planked kauri, the yacht was sheathed in GRP inside and out before being launched. 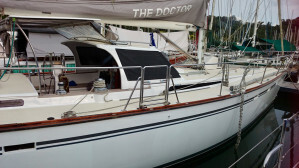 As such, her maintenance and appearance are all but identical to a GRP boat, but with the added benefits of a stronger, stiffer hull suited to high-latitude exploring, which also remains cool in hot weather, warm and dry in cooler climate, much less noisy than a fibreglass or metal boat, and of course which offers the inimitable 'wood' feel to the interior, which was lavishly fitted-out with solid teak throughout. 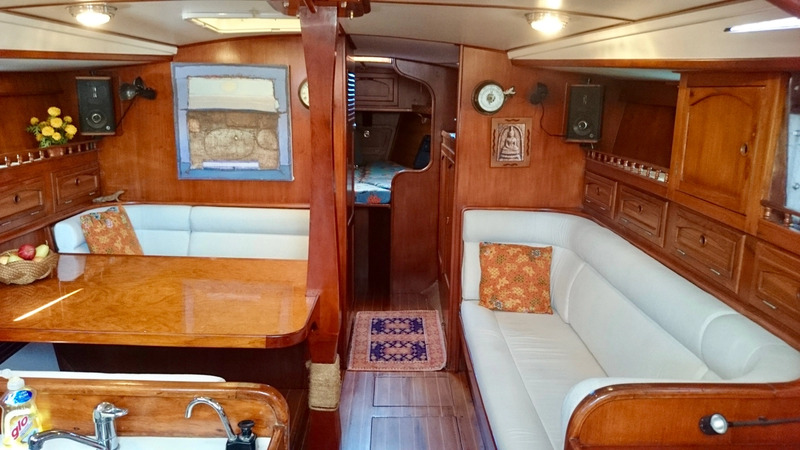 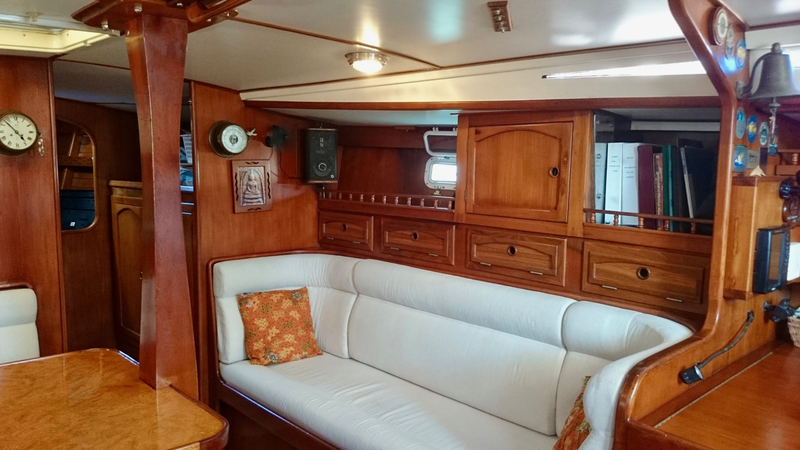 This beautiful yacht was refitted several times by her proud owners, the most recent taking place in in 2015 and present in absolutely immaculate condition. 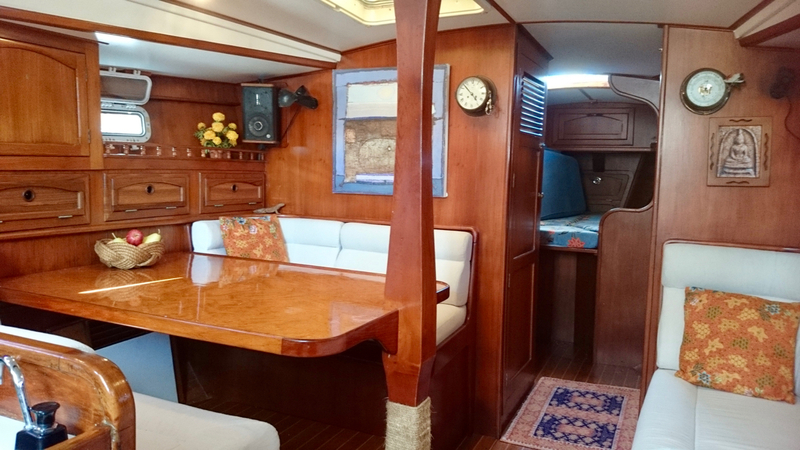 As the owners are on board most of the time, this beautiful yacht is given the outmost love and care and never left unattended. 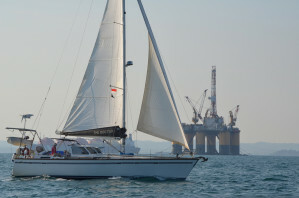 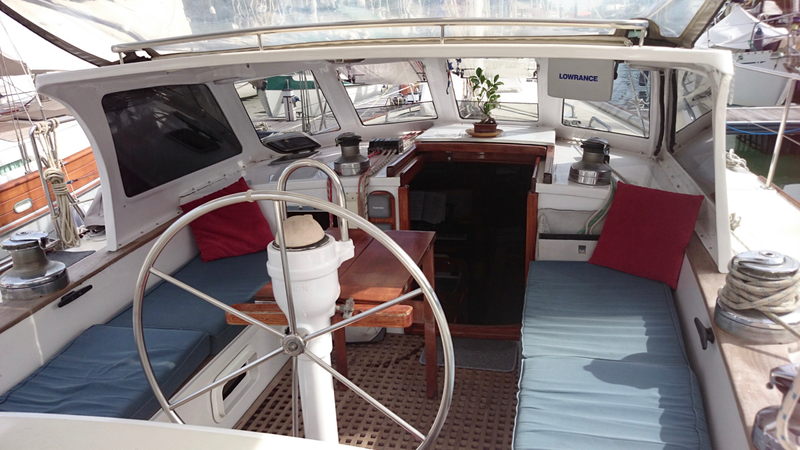 She is equipped for long-distance cruising and particularly suited to more challenging ocean condition. 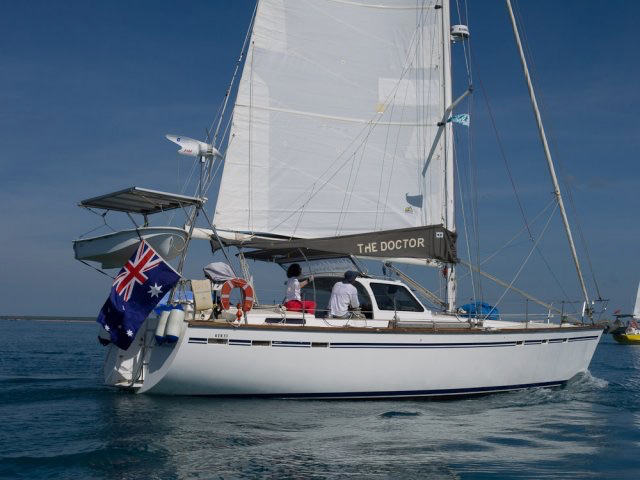 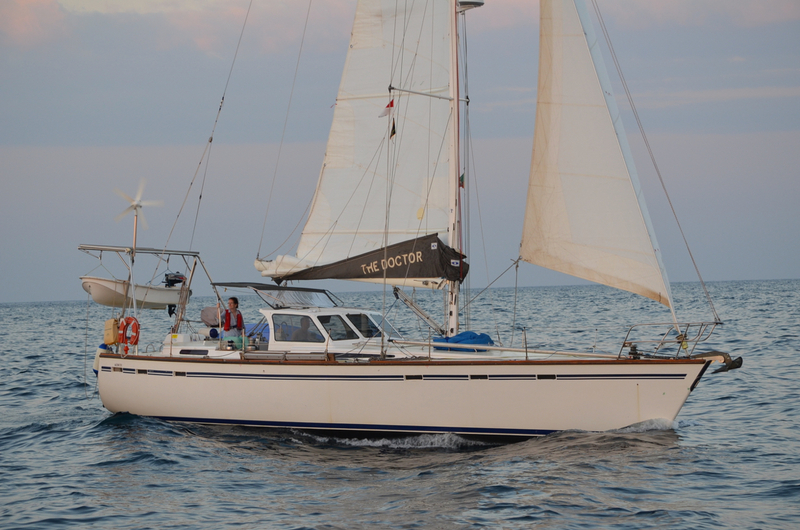 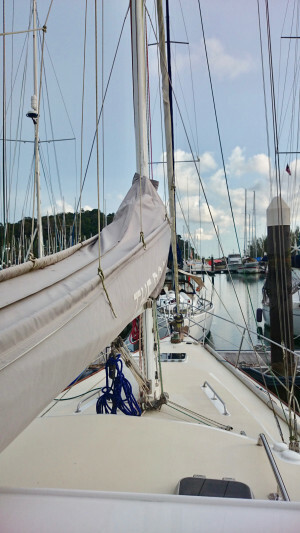 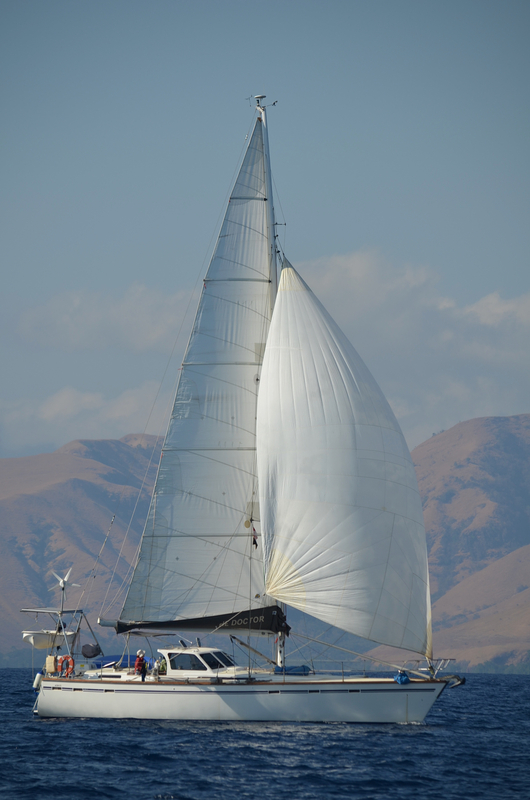 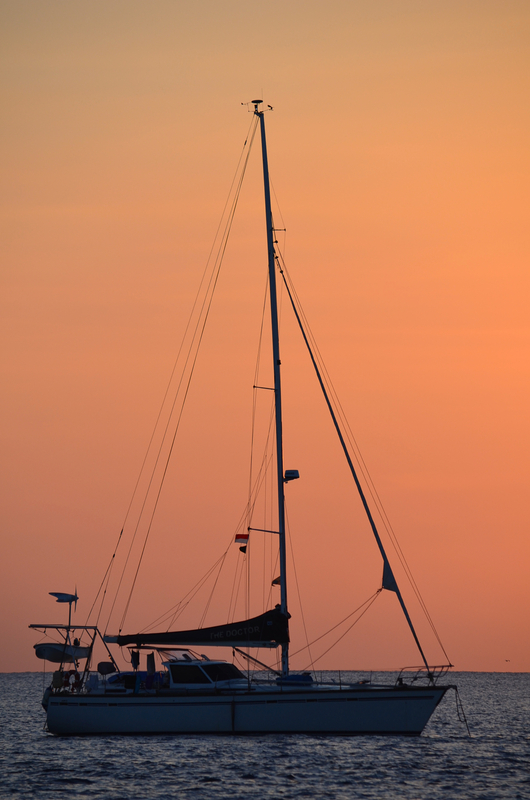 She has sailed the east and west coast of Australia and South East Asia, and has proven to be a comfortable, fast and graceful yacht, which eats up the miles effortlessly and takes whatever the ocean throws in her strides remarkably well. 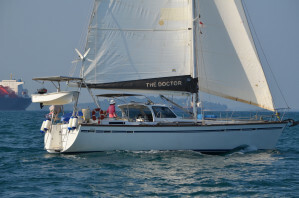 The Doctor' is a yacht to fall in love with for many reasons. 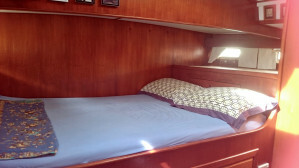 Her graceful motion, balanced lines, comfortable and well protected cockpit, intelligent layout, unencumbered decks, solid fit-out, delightful interior, and of course her quality as a sea-going little ship makes her a perfect choice as a live-aboard or for extended cruising for a couple or small family. 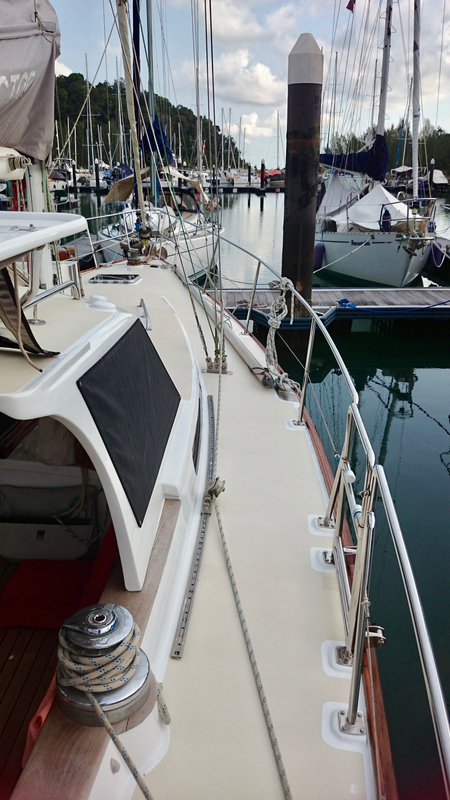 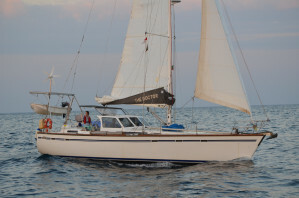 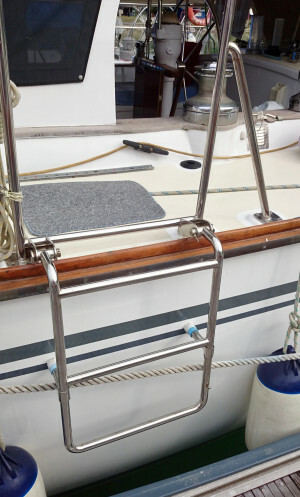 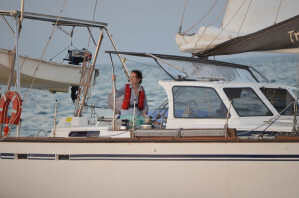 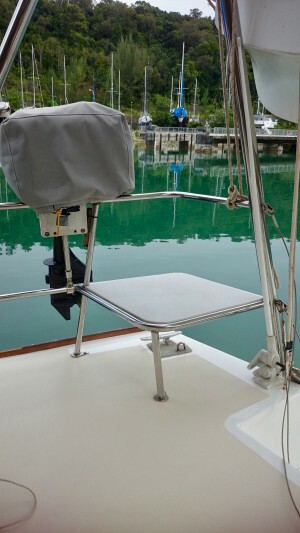 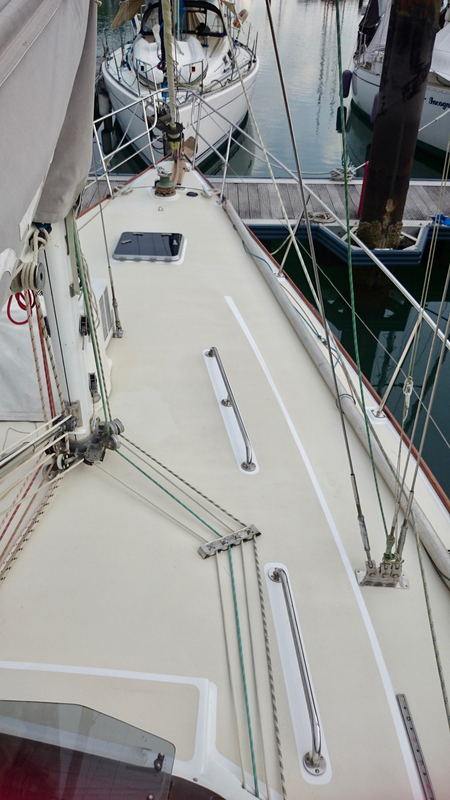 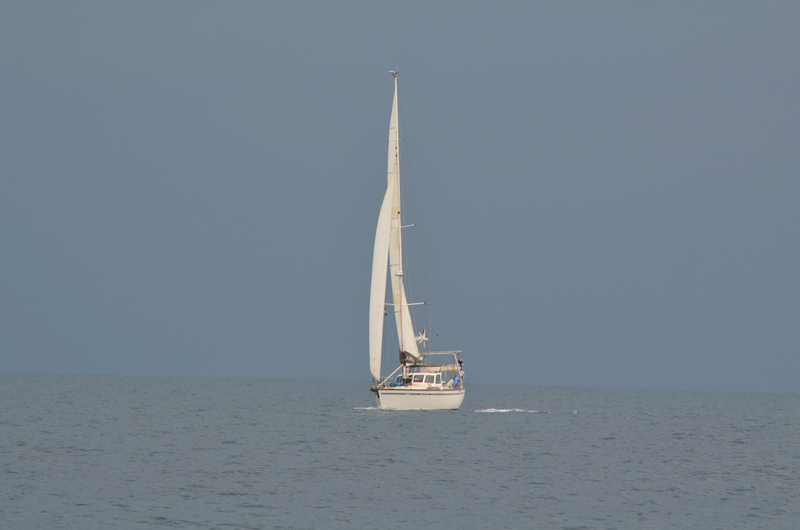 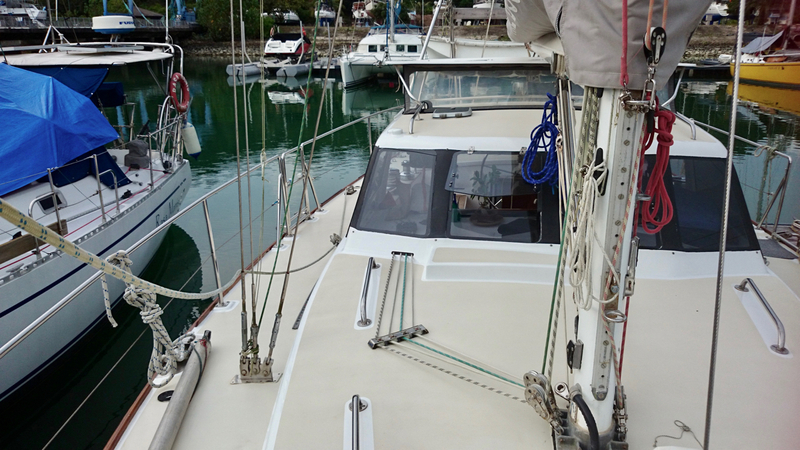 Lastly, she is set-up for easy and safe sailing even when solo or short-handed. 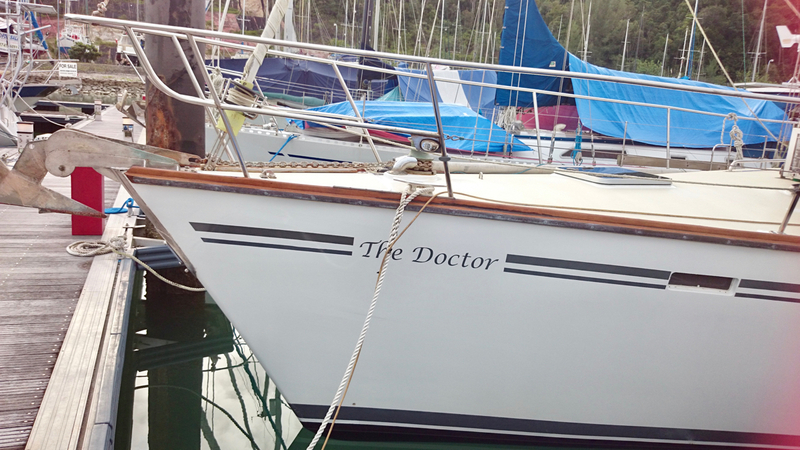 'The Doctor. 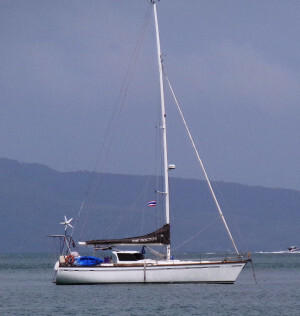 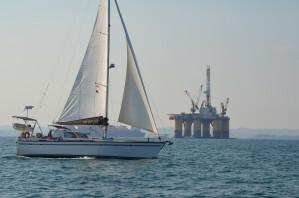 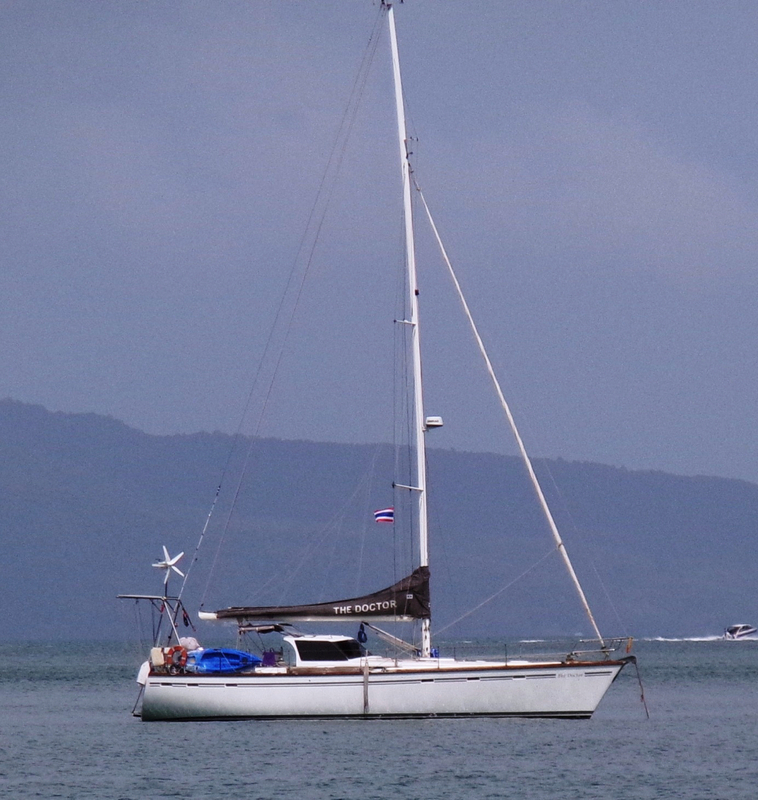 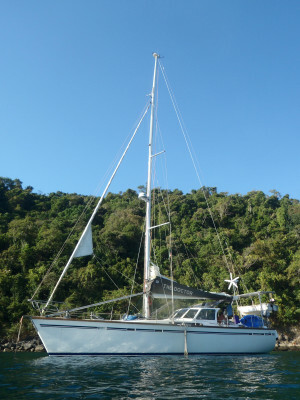 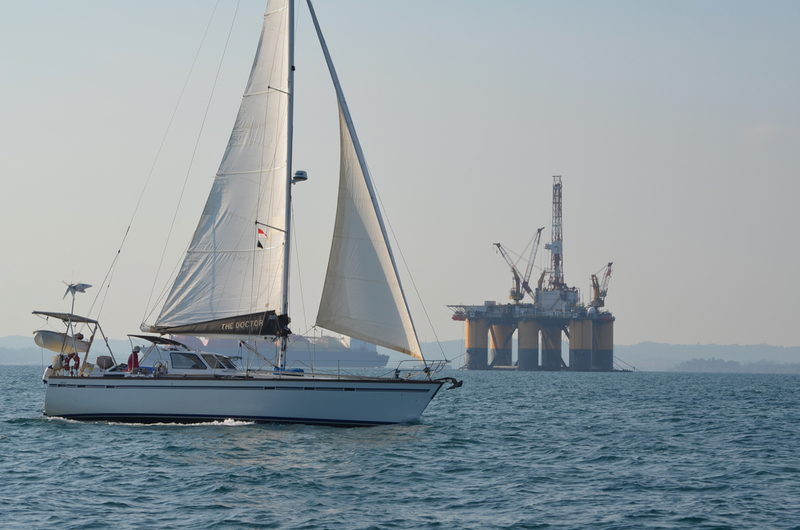 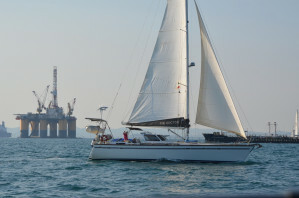 is an outstanding vessel priced very reasonably due to her somewhat out-of-the-way location in Langkawi, Malaysia. 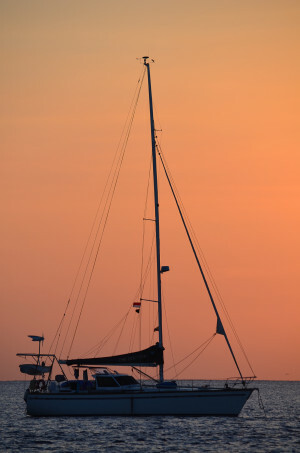 Why not start your cruise in one of the most beautiful sailing paradise of the world? 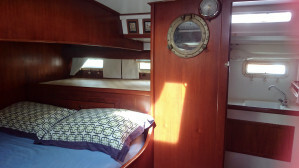 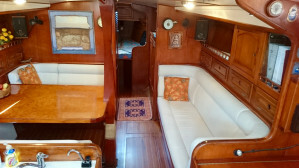 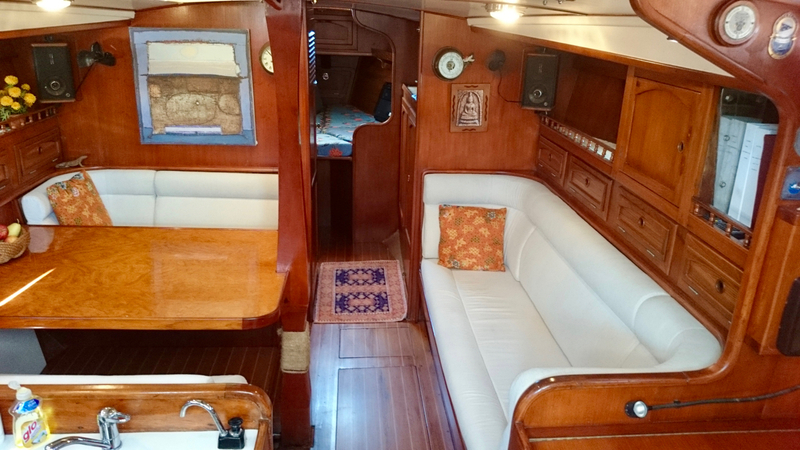 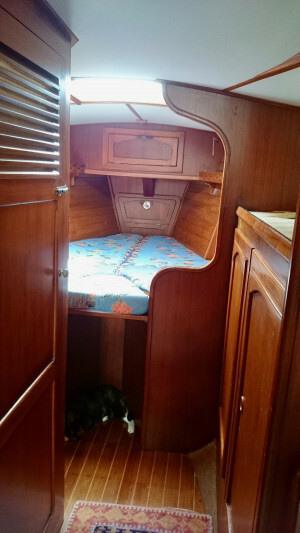 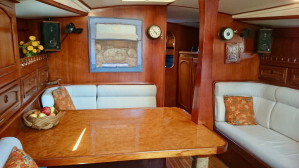 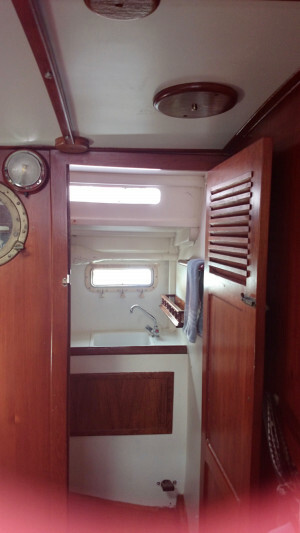 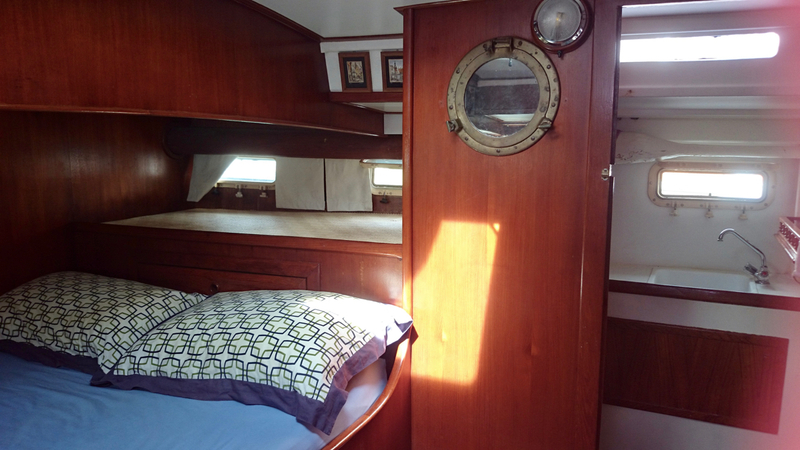 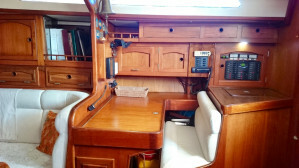 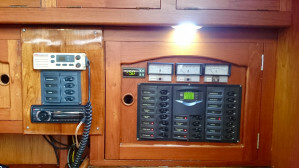 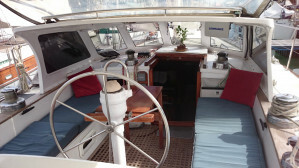 -Master cabin with athwart ships bed and separate head. Two heads total. 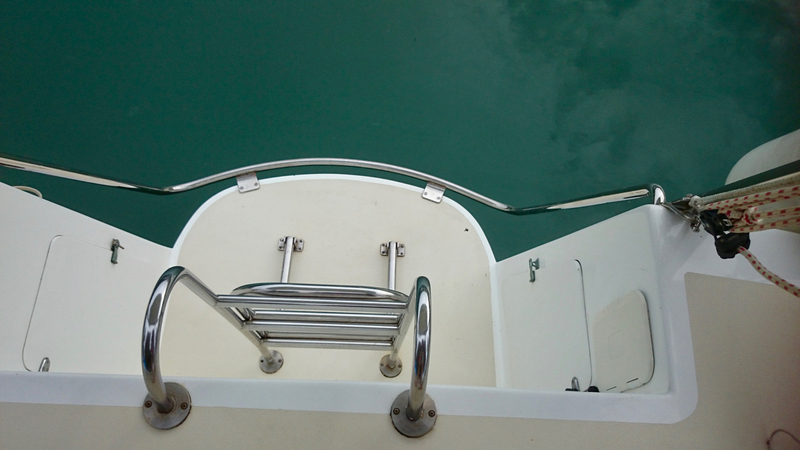 -Wide clear decks with stainless steel safety rail. -Hard dodger and bimini giving ample protection from sun and rain. 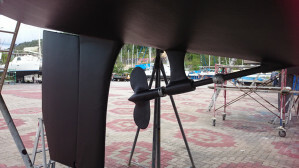 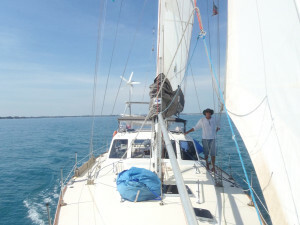 -Solar panels and D400 wind generator for ample power. 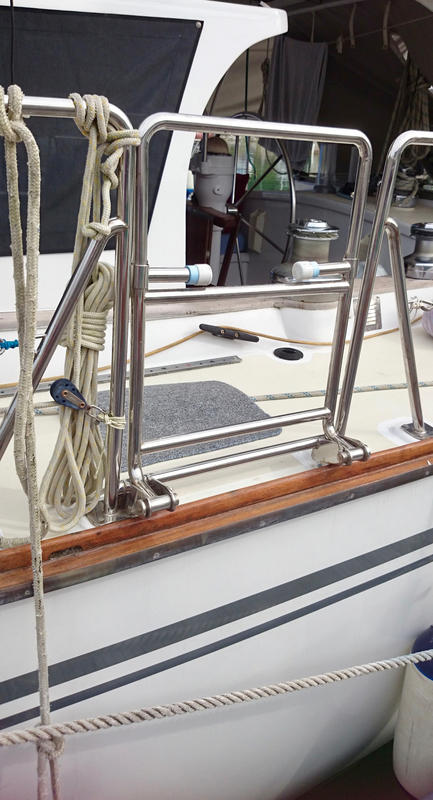 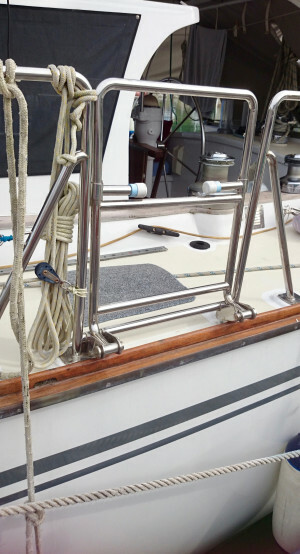 -Furling jib and Main with lazy jacks. Secondary alternator is a Leece Neeson 160 amp low rev high output truck alternator coupled with a balmar smart regulator. 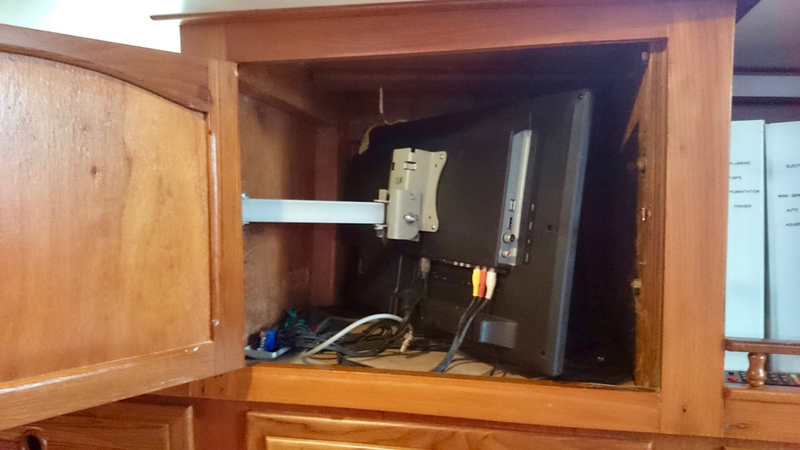 Used to charge the house bank. Master cabin with athwart ships double bed. 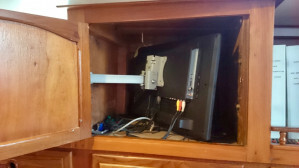 Entertainment: Flat screen TEAC TV inside cupboard in saloon. Stereo: NAKAMICHI CD MP3 WMA USB 2015. 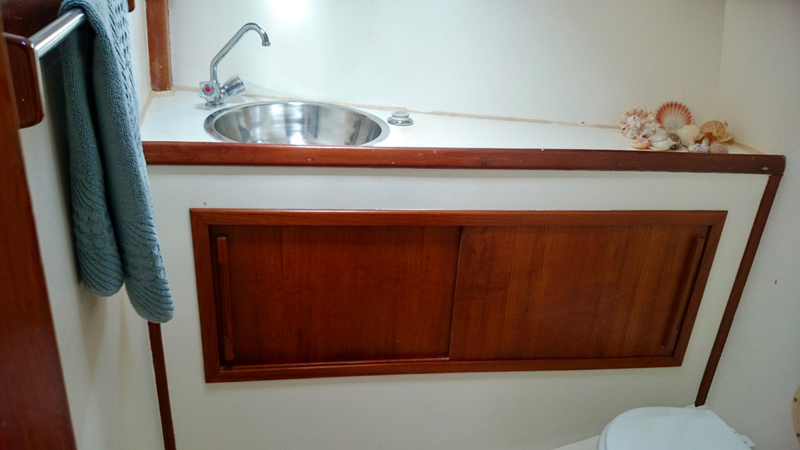 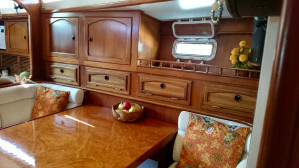 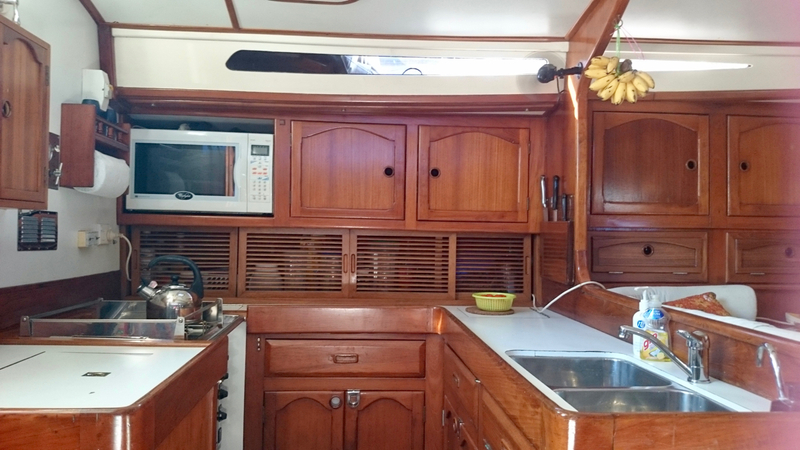 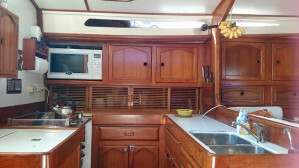 Galley Recently refurbished with ample bench space and clever drawer storage. 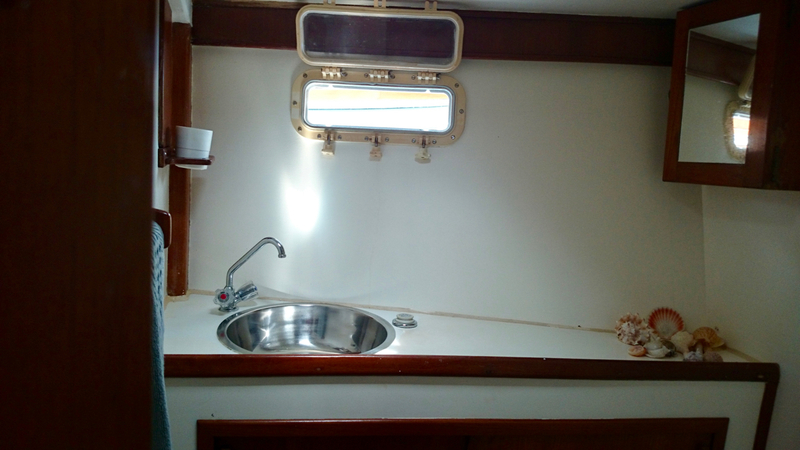 Water Maker Echo Tech 12 volt 40 litres per hour capacity. 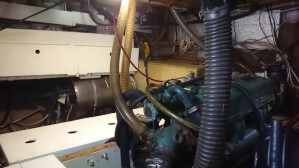 One shower in main head. 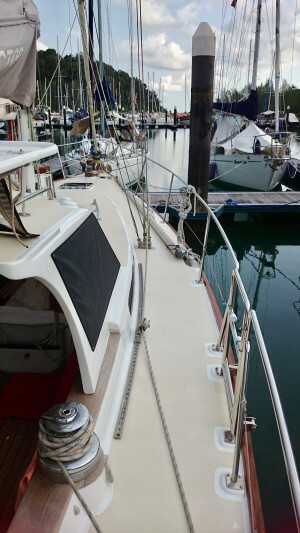 # Standing rigging checked and all shrouds replaced, back stay replaced with new hf insulator fitted, roller furling serviced. 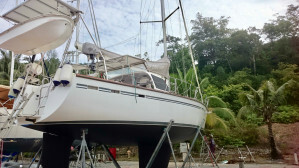 At the end of this refit we sailed off and made our way eventually to South East Asia. 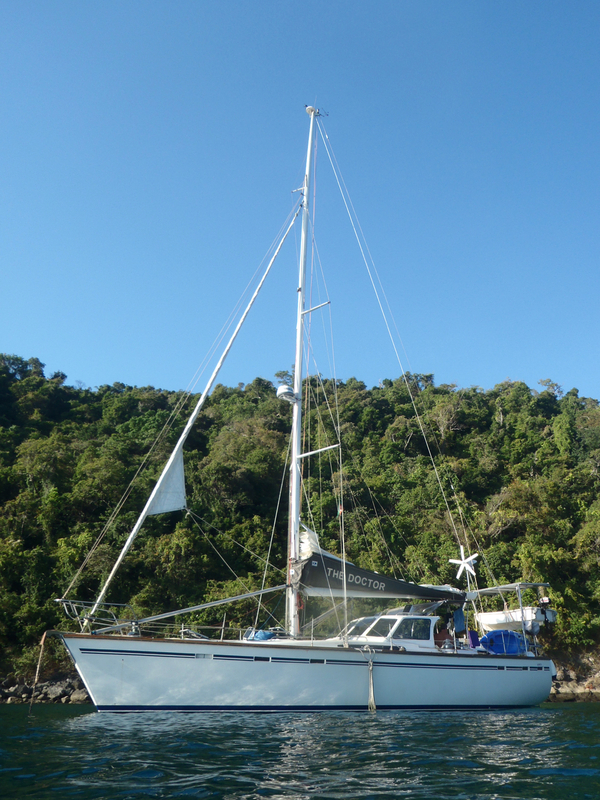 Our next refit happened in Darwin in final preparation for our trip to Timor Leste. 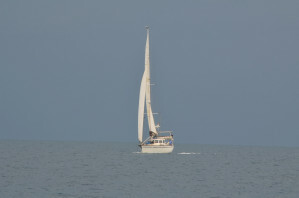 The following is a list of jobs done in Darwin 2012. 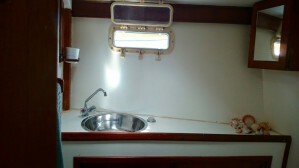 # Water damage in deck cut out and new ply fitted, glassed and painted. 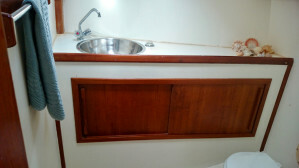 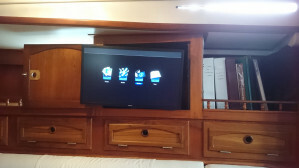 # New cupboards fitted in saloon. 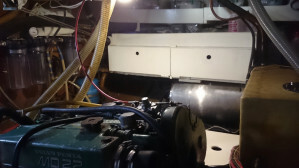 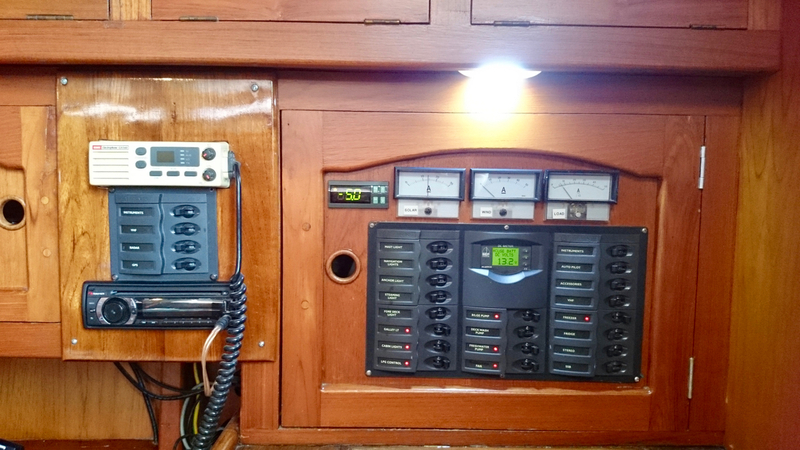 # Engine room fitted with shelves, drawers and new battery box covers. 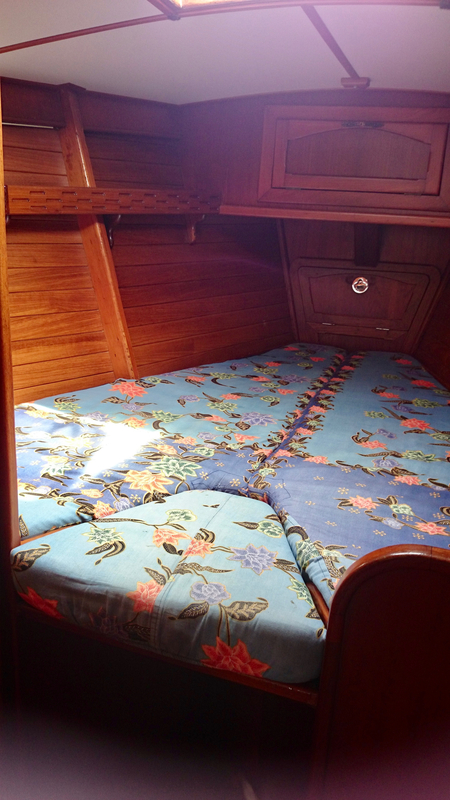 # New cushions in saloon. 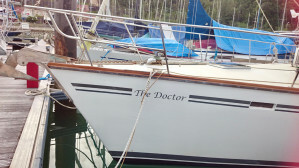 'This covers the majority of work we have done on the Doctor in the time we have owned her. 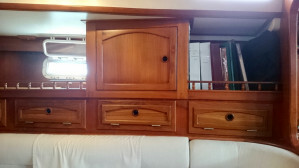 As you can see, it is extensive. 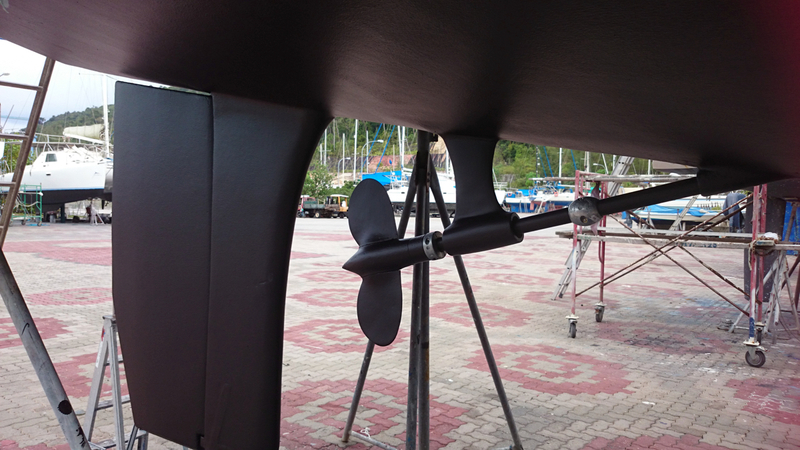 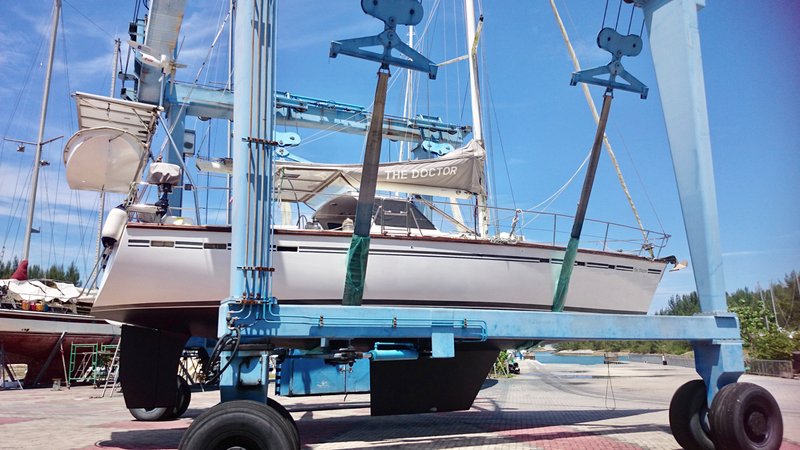 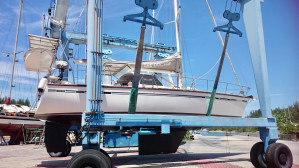 We have always strived to have her in top condition and to fix things when they need fixing. 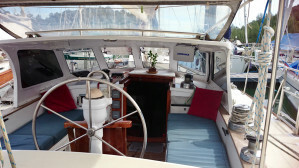 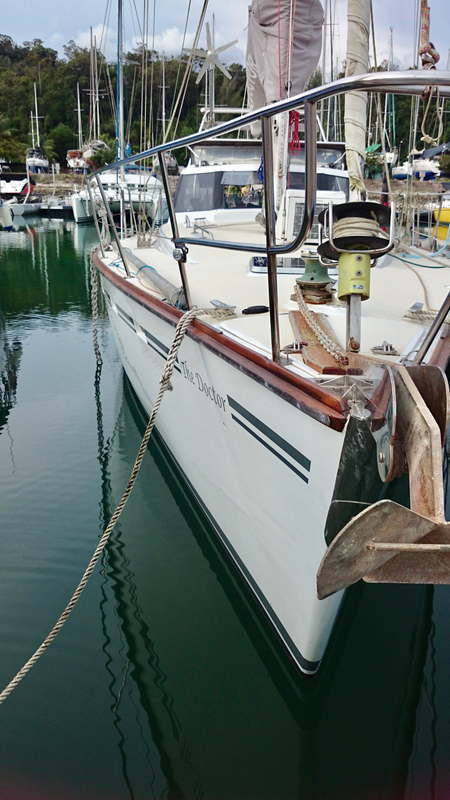 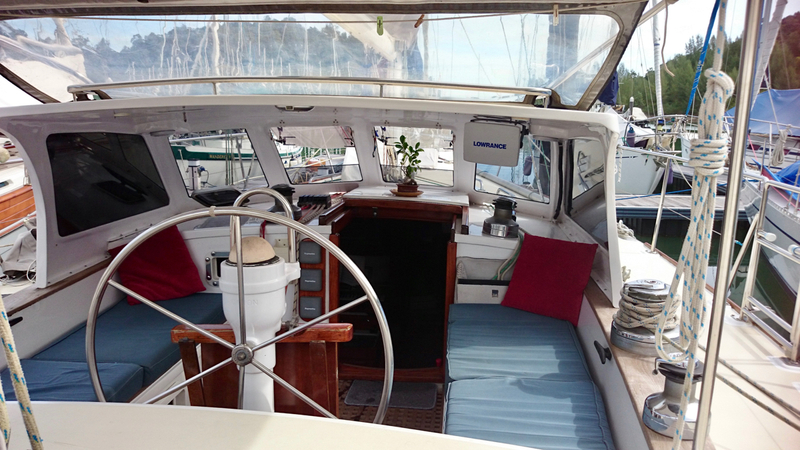 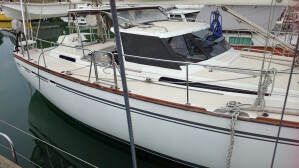 She is a beautiful boat that has been lovingly maintained'.